Pch 3x Chances To Win $10,000,000.00 Prize No-6900 On February 26th Activate ! Pch 3 Chances To Win $10,000,000.00 Prize No-6900 On February 26th Activate ! Official Prize Patrol Correspondences: I’m are encouraged to claim not one but 3 chances to win $3,000,000.00 from Giveaway Number6900. The Prize Patrol would arrive at my house to deliver a”Big Check” a long with news that I a Millionaire winner. I’m respond now. Once my enter has been confirmed,I be directed to an exciting PCH Brand for more winning opportunities I be to enter to win a PublishersClearingHouse Super Prize plus instant win prizes are available every day. Claiming PCH gwy # 6900 praying so hard this comes threw desperately need this to happen. Dare to Dream! I do sometimes I can’t sleep nights thinking of what this would mean for me and my family. Ya can’t win if ya don’t enter! Hi pch I’m entering to win pch prize 4900 and 10m. PRIZE PATROL I WANT TO WIN 10,000,000.00 AND I WANT TO CLAIM 3 CHANCES TO WIN 10,000,000.00 FROM GIVEAWAY NUMBER 4900 THIS OPPORTUNITY TO WIN FROM PUBLISHER CLEARING HOUSE PRIZE PATROL.3PRIZE PATROLLED-3 CHANCES TO WIN THE TIMELY ENTRY FROM PRIZE PATROL WOULD ARRIVE AT MY HOUSE TO DELIVER BIB CHECK ALONG WITH A MILLIONAIRE WINNER. I TRUST PUBLISHER CLEARING HOUSE AND PRIZE PATROL ONCE I ENTRY TO CONFIRMED, PUBLISHER CLEARING HOUSE IN OPPORTUNITIES TO ENTRY TO WIN SUPER PRIZE A SPECIAL PUBLISHER CLEARING HOUSE ENTRY MY NUMBER 4900. I will win see you on the 26th. WELL, I’m hoping & praying on 2/26/2016 with Giveaway # 4900 brings My family & I GOOD LUCK to be the WINNER! So WE can head back up to PENNSYLVANIA! YES INJOY OUR LIFE OF STRUGGLING AND WORKING HARD FOR OUR FIVE BLESSING CHILDRENS AND OUR FOUR GRAND KIDS WHO WOULD LOVE TOO SPEND OUR DAYS AND NIGHTS HAVING FUN AND TAKING THE WHOLE FAMILY TOO DISNEYLAND, KNOTTS A BERRY FARM, UNIVERSAL STUDIOS, SIX FLAG, MAGIC MOUNTAIN, WAX MUSEUM, SEA WORLD, CRUSIE VACATION JUST GET OFF THOS ISLAND AND SWE THE WORLD. THANK YOU AND MAHALO PCH. WINNING MONEY WOULD REALLY BE APPRECIATED ON FEBRUARY 26, 2016. SO I CAN GET ME & THE REST OF MY FAMILY BACK TO WILLIAMSTOWN,PENNSYLVANIA OR TOWER CITY, PENNSYLVANIA 17098. THE DOCTORS DON’T KNOW ME OR MY DIABETES LIKE THE DOCTORS BACK IN HERSHEY PENNSYLVANIA. Hello everyone, I Virginia, Thompson “VIP status” searching PCHFrontpage TODAY is a good day to be a VIP how to win a $5,000 a week forever prize on February 26th from Publishers Clearing House giveaway number 4900 just searching at PCHfrontpage should win this prize I receive $5,000 a week for my life then after that those payments would continue have a for the life of the beneficiary of my choosing but that’s not all search at PCHFrontpage today and I will also be entered to win an Exclusive VIP only $15,000 prize from PCH GIVEAWAY No, 7233 this prize can be won by a VIP searching score for tokens and Claim a chance to win .please Activate my Entry and Submit it for I am fully ELIGIBLE to Win and please Secure my entry’s .Thank you all its been a pleasure and a Honor! I pray that I get to win this. Winning would be a GREAT answer to my prayers. It would take care of my medical expenses. I pray that I win the Gwy in Feb 2016. I have played every day and really need the money to help pay for some medical care for my husband. PLEASE HELP ME, LORD I PRAY! Enter me in the #4900 PCH giveaway available 2/19/16 . I want to win $5000 a week forever and would love to help people with it too. Please confirm my name is in the running. PCH $10 Million Dollar Super Prize give away no 4900 if I win this it will brighten my life ,my family ,my church I claim it entry me please . I would like to set up a scholarship program for students that earn the grades to go to college but to not have the funds. I’M READY FOR THE # 4900 GIVEAWAY CAN REALY USE IT FOR A LOT OF THINGS . I need to win something. 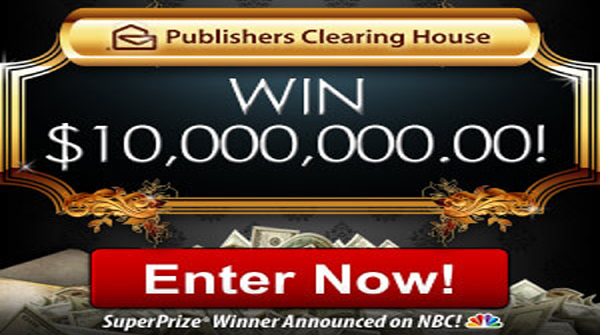 PUBLISHER CLEARING HOUSE I AM ENTERING MY PCH 10 MILLION SUPER PRIZE GIVEAWAY NO.4900 PLEASE AND THANK YOU. I WANT TO WIN 10 MILLION DOLLAR GIVEAWAY ON FEBRUARY 26TH . I WOULD LOVE TO GIVE MY GRANDCHILDREN THE MONEY THAT THEY WANT. Looking to a better future…hope I win. Winning $10,000,000.00 will be awesome and I hope I get a chance to win it cause I’m in a slum of bad credit, homeless, and want to be debt free. So please PCH COMPUTER! land on my number!!!! Yes I want to win 25,000.00 cash bonus PRIZE from PCH GWY. No. 4902 along with $5,000.00 a week “FOREVER” from GWY. No. 4900 on February 26, 2016. PRIZE No 4857-62/3080,3818. I have never won anything my whole life.i would be so thankful and greatful.i have always been poor.but by the grace of God he always see me through. There have not been words invented to explain how I would feel if I win.i have 4 kids and I love them dearly.and my church. So I pray that the grace of God touch me. I would like to enter the pch $10 million super prize giveaway No.4900. Also, I would like to enter the $5,000.00 a week for life “FOREVER” prize on February 26 2016. Thank you for giving me this chance to win some thing unbelievable! It. Would be nice to be awarded for playing games and win! This would be a blessing from the Lord!!! This would be a blessing from God!!! dollars. Just trying to help place these monies. CS. could be from one million to possible ten million. Just for the record, any amount is acceptable and YES I do want to win. Thanks to PCH for such an opportunity. YES I WANT TO WIN $ 10 MILLION DOLLARS SUPER PRIZE # 4900 GREAT OPPORTUNITY ENTRY ME GLINDA HAMMOND THANK YOU . PCH I WANT TO WIN $ 10 MILLION DOLLAR SUPER PRIZE GIVE AWAY # 4900 . I WANNA WIN THIS SWEEPSTAKES IT LUXURIOUS A DREAM I WANT TO COME TRY ENTRY ME PLEASE . PLEASE PICK MY NAME GLINDA HAMMOND TO BECOME A WINNER PCH GWY # 4900 A WEEK FOR LIFE . THANKS . THANK YOU 4 THIS GRATE GOD GIVING GIFT , THAT WOULD CHANG ARE LIFE’S GOR THE BETTER NOTHING BUT ” UP ” FROM HERE CLAIM # 4900 . I’M WANT TO WIN PCH GIVEAWAY # 4900 AND A WEEK FOR LIFE ON FEBRUARY 26TH,2016 . PLEASE PUT MY NAME GLINDA HAMMOND ON IT . THANK YOU PCH VERY MUCH . PCH I WOULD LIKE YOU TO VERIFY MY ENTRY FOR $ 10,000.00 CASH . THANK YOU . Yes it would be nice to see your smiling faces as you stop by with that sign on the side of your van and the beautiful bouqet of flowers for my wife. Most of all that gigantic check for me and a bottle of bubbly. I can hardly wait to see you, your welcome home! 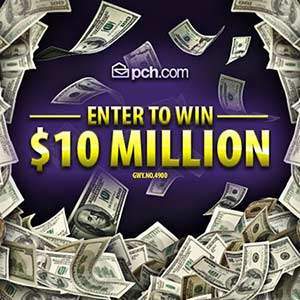 Today PCH VIP Rewards begins with five entries to win a incredible $10,000,000.00 from Gwy.#6900! Then I could find myself the winner of an Exclusive $10,000.00 cash prize from the five opportunities to win that we’re giving me for Gwy.No.#7233. With one quick click, my bank 15,000 Tokens. Respond now and PCH VIPs, like me will get ten 3,000.Instant- wn scratch cards. I ‘m making sure I claim before January 28, 2016 (11:59 P.M.ET) entry deadline! Enter me to win $10,000,000.00 Superprize! Pch, I would like you to verify my entry for $10,000.00 Cash. Thank you. I want to save old dogs from being destroyed. I could make this happen. The assistance would be nice but I’m trying to make this happen. $10 Million Dollar Super Prize #4900 great opportunity entry me thank. $10 Million Dollar Super Prize give away no.4900 I wanna win this sweepstakes it luxurious a dream I want to come try entry me please. I BEEN DOING THIS CONTEST FOR YEARS AND REALLY HOPE TO WIN $ 500,000 THOUNSAND WOULD DO . I JUST WONDER HOW I COULD WIN WITH SO MANY HAVING THE SAME . # 4900 SO . THAT MAKES ME THINK I HAVE NO CHANCE OF WINNING . IT CAN’T HURT TO DREAM. I WANT TO WIN I ENTER EVERY DAY FOR THE $10 MILLION . PCH . SWEEPS . FOR GWY # 4900 AVAILABLE TILL ( 11:59 pm ET ) ON 2-19-16 I ACCEPT PAYMENT OPTION A $ 5,000.00 A WEEK FOR LIFE FOREVER PRIZE ON FEBRUARY 26 , 2016 . YES , I WANT TO WIN ! YES ! ENTER EVERY DAY ! #4900. So that makes me think I have NO chance of winning.It can’t hurt to Dream. YES, I WANT TO WIN! YES I ENTER every day! This would be exciting to feel as if I’m on a reality show. Life is so short so why not be able to live laugh and love to the fullest. I want to win win win and playing since age 10 0ver 3 decades ago is thrilling. Let’s go PCH Forever! I am claiming the win of $5,000.00 a week for life gwy no.4900 & #69000 a chance to win the $5,000.00 a week forever.and my last day to entry the chance to win the $5,000.00 gwy # 4900 & # 6900 so PCH Search & Win.so PCH Sesrch & Win come to 729 Yale Ave in Baltimore,MD.on February 26th and I will wait for you on February 26th and in I want Jesus to help me.and I want a Doublers of Roses and some Balloons and a Big Check to come to Glinda Hammoond house and I really want to win on February 26th because I have not won angthing so I need Jesus to please help me out please. $10 Million Dollar Super Prize Sweepstakes give away no 4900. entry me please this sweepstakes its run over 30 year.instead of $225,000.00 a year. well done .I hope I am the lucky person to win this large amount to become 10 millionaire Dollar Sweepstakes I claim it. I love to win 10 million or 5,000 a week “Forever” on Feb.26.2016 Gwy.No. 4900. I have many dreams about my life. Can PCH and Prize Patrol make my dream come true? I guess I will never win I been searching and searching and still no avail 4900 just not winning anything. Pch, I would really like to win some Cash tonight. I WOULD TO WIN TO HELP HOMELESS VETS. ANDF FOR MY GRAND CHILDS SCHOOLING AND FOR FAMILY. I’M COMING OUT OF DEBT. THIS YEARIN JESUS NAME. I DECLARE MY FINANCES WILL CHANGE. I DECLARE IT TODAY!!!! AMEN !!!! AMEN !!!! SECURE PRIZE NUMBER ON THE WINNER SELECTION LIST-PRIZE NO .PCH GWY # 4900 AND #6900. GOD’S BLESSING ME. I AM THE WINNET.WILL WIN # 4900. SEE YOU PCH. CBRS F OR GWY # 4900 ” FOREVER ” SWEEPSTAKE. I got to get in line. Yes, PCH I REALLY WANT TO WIN ! Today PCH VIP Reward begin with 5 times the entries to win $10,000,000.00 the ultimate payout from Gwy.#6900! Then, I could find myself the winner of an Exclusive $10,000.00 Cash Prize from the five opportunities to win that we’re giving me for Gwy.#7233. I’m bank 15,000 Tokens a little something to show me how much you appreciate loyal like me. Plus, respond right away, and PCH VIPs, like I, will get Ten 3,000 instant – win scratch cards. I claim before January 21,2016 ( 11:59 P.M.ET) deadline! I declare I’m coming out of debt in 2016. I declare a blessing is coming my way. I declare my finances will change. I say so, “Today.” In Jesus mighty name. Amen!!! Amen!!! Amen!!! I’m coming out of debt this year in Jesus name. I declare my finances will change. I declare it today!!!! Amen!!!! Amen!!! Amen!!! I have nevet won a contrst in my 56 years of life. It would be a blessing to win PVH. Yes PCH I want to won and become a Millionaire in the making.yes to win the $10,000,000.00. Super prize from gwy # 6900. I claim gwy 5035 and # 4900 for the gtand prize. I would not, care what I win, a long as I win. $10,000,000 dollar golden ticket super prize from gwy no. 4900, winner to be determined on 2/26/2016. keeping my finger’s crossed for good luck !!!!!! Hello there. I would like to win the $10,000.000 gwy, $5,000 forever a week feb 2016 drawings. $1,000.000 drawing. The $3,000.000.00 dream house drawing. Frontpage $100,000.00 drawing. Please make sure I am entered in all drawings for 2016. Good luck members. Yes, I enter every day! I hope you are athe my door With a big check a bottle of champagne and a boutique of balloons! With NBC Channel television. How great it will be. Given by PCH, I want to win! PCH $10 Million Dollar Super Prize Sweepstakes 34900 WOW WHAT A Lump sum this is .I could live very nice with this sweepstakes entry me please. if just for a little while. God Bless!! Pch golden ticket gwy no 4900 10 million dollars enter to win. I claim the Prize of $5,000.00 or$6,000.00 a week forever GWY 4900 26th FEB,2016 & $250,000.00 a year for life GWY 6900 & $3,000,000.00 For the Dream Home , GWY 6900 & $1,000,000.00 GWY 3577 &$100,000.00 a week for a year GWY 3080 $1,000,000.00 a year for life, GWY 3577 & $10,000,000.00 GWY 4900 The Golden Ticket & $10,000,000.00 GWY 4900 $225,000.00 for 29 years and $347,000.00 0n the 30th year. yes PCH I want to win the 10,000,000.00 super prize give away no 4900. I could use the money to help. Pay bill and help my kids before I retire. I would love to win the 5000 a week for life so i can help my family. In my lifetime I would like to see all my 10 grandchildren either go to college or trade school and find a good job also be able for me to me debt free pay all I owe because they have been so patient with me and help the homeless because there are so many to help so with the blessing of our lord I pray I either win the 10 million or 5,000.00 forever on Feb. 26th 2016 this would be a miracle I too need help I wish all who play Good- Luck to all Thank you Dave ,Todd, Howie and Daniella for all you do for us and PCH staff. Yes i want to win the $5,000.00 a week forever and i want the Double cadk of $10,000.00 ,and i want Pubher Clearing House to coome to 729 Yale Ave in Baltimore MD on February 26th . I am retired and I could use some extra money. Would LOVE to WIN so I can get my Pancreas Transplant done to get rid of my Diabetes & try to give Birth to a Son or Daughter to my Fiance. & Try to put A payment on a dream home that we want here in Florida! HELLO PCH . AND YES I WOULD LIKE TO WIN $19MILLION CASH PLUS $5,000.00 A WEEK FOR LIFE. PCH $10 MILLION DOLLAR SUPET PRIZE # 4900 I HOPE I WIN THIS JACK POT FULL GOLD PLEASE ENTRY ME. I Elaine would love to claim the 10.000.000 superprize.if not that also am in it to win it too !!! !and claim 5.000 forever superprize.if on Feb 26.2016 I have played on these games seems like forever to just get my life better. Than its been for years! I have never had a large sum of money in my life .Would love to win big one time in my life. Before I die from this world just to say I played faithfully and done it one time is all it takes to win a superprize.if.is meant to be for me.I have never received a post card so that is why I have not posted a number!I also call in daily to enter with account no.so I really could use this money to have a life different then I have lived. I am searching to win the $5,000.00 a week forevet and a Double of $10,000.00 cadh prize from Publisher Clearing House on February 26th my giveaway no.4900 and I want Publishet Clearing House to come to my house with a Dozens of Roses and some Balloons and theBig Check with Glinda Hammond on it and I want Publisher Clearing House Frontpage to come to 729 Yale Ave in Baltimore MD & I will be waiting for you to come.and I want God to here my prayer in Jesus Name I Prayed Amen. This would be good for me if I won. Then I can visit my mother in Alabama that I haven’t seen in a decade. May no mistake we talk all the time but I don’t make enough money to take a trip to visit her…. Thank you PCH for another opportunity to try to win. God Bless us everyone! I claim the Prize of $5,000.00 a week forever GWY 4900 26th FEB,2016 & $250,000.00 a year for life GWY 6900 & $3,000,000.00 For the Dream Home , GWY 6900 & $1,000,000.00 GWY 3577 &$100,000.00 a week for a year GWY 3080 $1,000,000.00 a year for life, GWY 3577 & $10,000,000.00 GWY 4900 The Golden Ticket & $10,000,000.00 GWY 4900 $225,000.00 for 29 years and $347,000.00 0n the 30th year. Hi, well I wish all of you the best of luck hope whomever wins needs it as much as I do. PCH $10 Million Super Prize giveaway no.4900 I want to win this opportunity it free me from debt and worry yes I am entry to win. January 15,2016 activate “Forever” on 26 February 2016 Win the fortune of 2 lifetime awards of PCH gwy #4900. I pray that I can win sufficient money, from the PCH Giveaway #4900, to help me pay the health care cost of my husband having a stroke and is in a Healthcare Facility. I really need some help.